Paul Pogba has been enjoying a great time at Manchester United since the arrival of Ole Gunnar Solskjaer. The latter replaced former manager Jose Mourinho as an interim boss, and in a short span of time, he has transformed the Mancunian club. There is a lot of positivity in the camp, and players are enjoying their football again. The squad members are also smiling once again, as Ole has helped the club regain momentum. The manager has seen his side win six successive matches across all competitions. The latest victory came against Tottenham Hotspur with a 1-0 scoreline at Wembley. Pogba was at the thick of things once again. He made a beautiful assist for Marcus Rashford, which eventually helped United see off the hosts at Wembley. The France international has burst into life, and can be seen being more adventurous and potent with the ball. His ability to feed players and score goals himself has got him running. 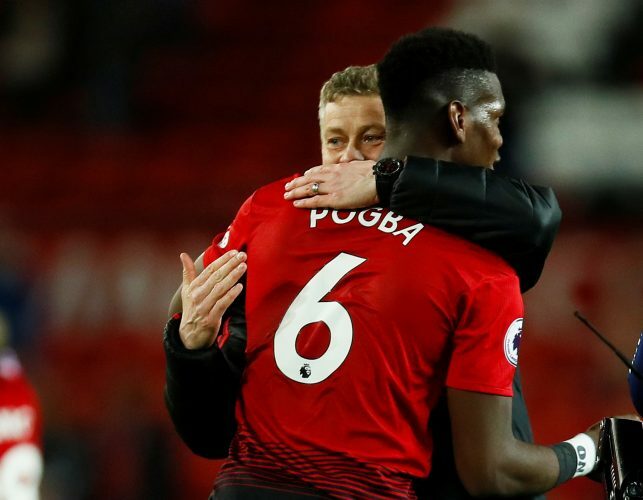 Pogba’s huge transformation from what he was under Mourinho earlier in the season shows that Ole has handled him expertly. And after the victory at Wembley, Pogba shared his thoughts on the new manager, besides sharing the difference he has felt working with Ole. “I’m enjoying playing football,” Pogba told Sky Sports after the game. “It was really difficult playing in the system we used to play. I like to be more attacking, pressing, playing high – defending is not my best attribute.